Professor John F. McGrath taught Chemistry and Natural Science at Saint Rose from 1961 to 1991. Professor McGrath was a World War II veteran and a graduate of Siena College. When he began teaching at Saint Rose he was one in a hand full of male professors. In this 1963 photo, Professor McGrath takes his astronomy class to the roof of Albertus Hall where the new Questar Telescope was located. This passionate educator felt that all students needed experience in the natural sciences in order to become more aware of the world around them. 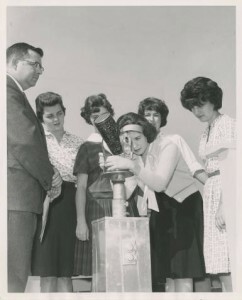 McGrath’s method of teaching observation went outside the college classroom when he developed a workshop to inspire elementary school science teachers. 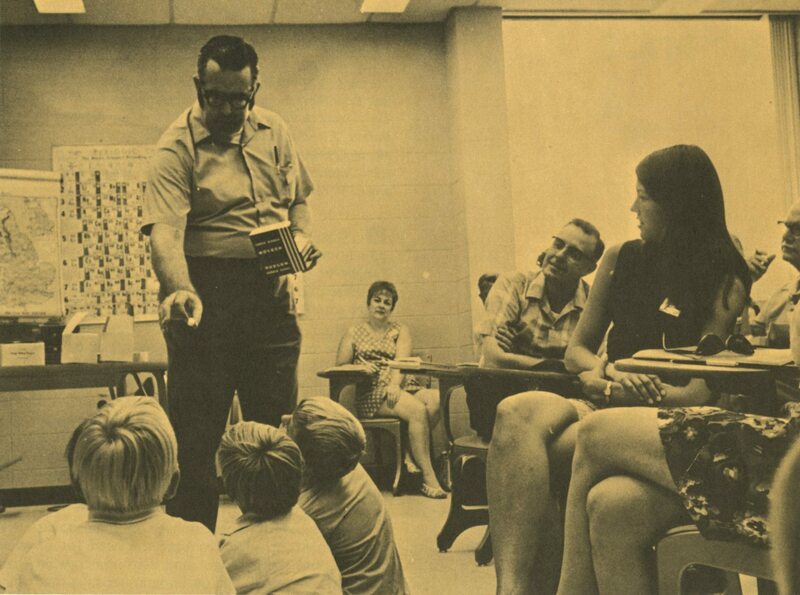 In 1970, Keynote, the Saint Rose magazine, published an article about McGrath and his work off campus in local districts. In his workshops, McGrath brought teachers and their students together to learn from one another. This passionate educator felt that all students needed experience in the natural sciences in order to become more aware of the world around them. Inspiring curiosity in students of all ages is just one of the legacies of Professor McGrath. He passed away in 1995.